You’re doing a little shopping on Main Street, U.S.A., and suddenly…there’s a cat in a tree! Who do you call? The fire department! Okay, just kidding. There are no cats in trees on Main Street in Disneyland. There are feral cats that roam the park mostly at night, but I’ve only ever spotted one once, and that was by the Hungry Bear back in Critter Country. 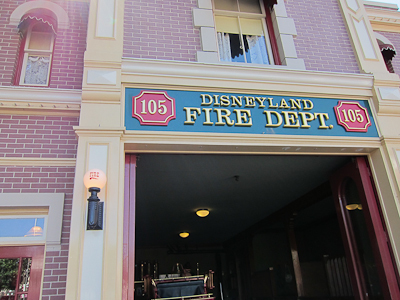 Today I’m talking about the Disneyland Fire Department. 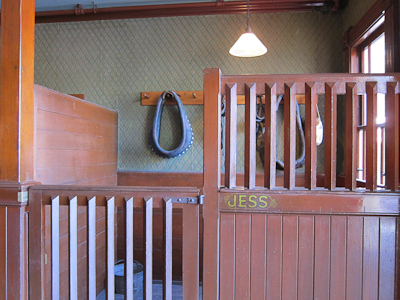 Located next to City Hall, the firehouse has a very special feature. Yep, Walt’s apartment! 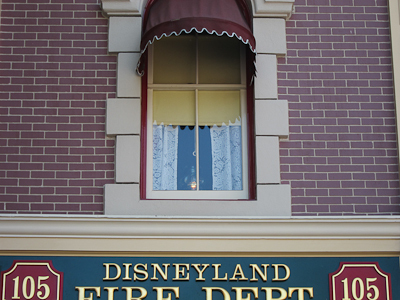 Walt himself kept a very small apartment in the park above the fire station. There’s a lamp in the window, and when he was alive he’d turn it on whenever he was in the park. Now it’s kept on continuously in memory. 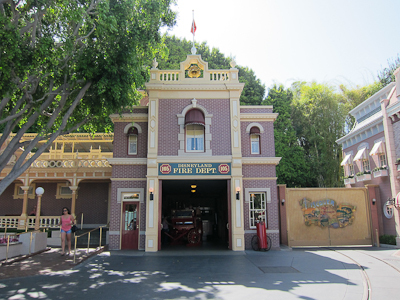 Here’s the firehouse from another angle. 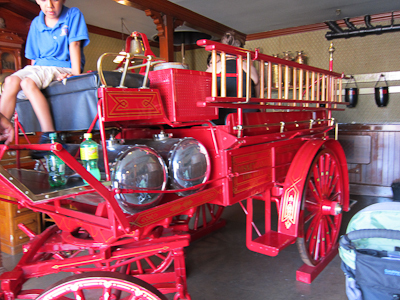 The main feature of the firehouse is, of course, the fire engine. 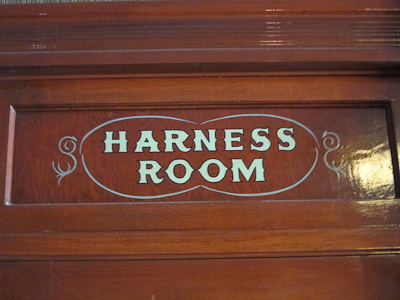 Pulled by horses, since it’s the turn of the century and all. The last turn of the century, not the most recent one. 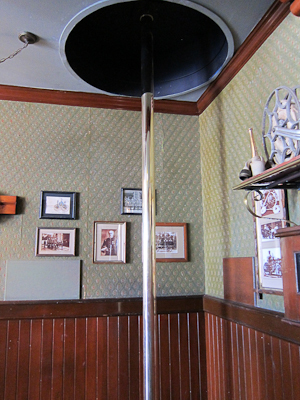 There’s also a decorative fire pole. 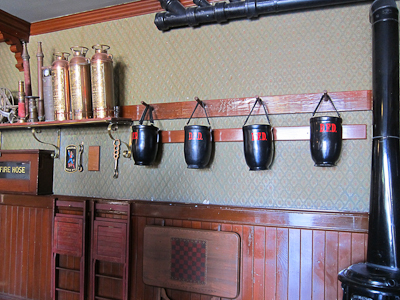 The firehouse is charming–stop in and ring the bell! And stick around to see if you can catch the Hook and Ladder Company (check your entertainment guide! ).